All thats good begins with a SMILE ! San Jose, CA Family Friendly Dentist serving 95127, and nearby 95132, 95148 zip codes and surrounding Santa Clara County Area. When you visit our San Jose , Ca dental office, your smile is our top priority. Dr. Brignon and her team is dedicated to providing you with the personalized, comfortable quality dental care that you deserve. "The best Family Dentist!!! They make you feel very comfortable explaining the work that needs to be done and also what you can do at home to make your teeth healthy and looking nice. I would recommend this dentist office to everyone. All the staff is very welcoming and treat you like family. Every time you walk in you are greeted with smiles and hellos." Elita S.
"The best! The staff really does seem to care about your well being and care. They are very friendly and courteous kind. Hard to find staff and A Doctor looking at just making you happy and comfortable. The best!!" Todd G.
"Dr. Luzana and her staff are truly amazing. I've been to many dentist offices in my life and none have been up to par with my experience with this team. 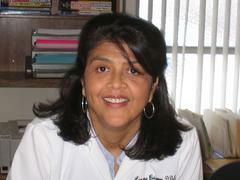 Dr. Luzana goes above and beyond and has made it a point to be clear and thourough in her assessment and examinations. I feel her deep caring and compassion towards me as her patient, which unfortunately was missing in many dentists that I've came across." K. A.
" I have had a lot of terrible experiences with Dentist's over the years. Then I was fortunate to have meet Dr. Brignon. I remember that day well. She told me I am going to fix everything and she did. My teeth are incredible. She is the best Dentist I have had the pleasure of working with. She is kind and caring and always make me feel like I am her only patient. Her staff is outstanding. I could not have been more pleased. Thank you to the entire staff for making me smile with pride. " - R.W. "Dr. Brignon is by far the best dentist I've had. She is meticulous in her work and tries to make things as painless as possible. I've had multiple types of work done to my teeth and have always been pleased with the results." - Phil R.
"She truly cares about each and everyone of her patients. She always has your best interest at heart." - Diane H.
"Dr Brignon has a great dental practice. She keeps current with new dental techniques and always finds a way to solve any issue. The best part is that she is also painless! Dr Brignon and her staff are always personal with their clients and the atmosphere is friendly, courteous and accurate. I highly recommend this dental office. Sandra is my dental hygienist and she is also excellent who also keeps current with new techniques and also finds a way to solve any dental issue. My teeth have recession issues and because of outstanding cleaning and care, I have seen much improvement! " - D.S. Are you or any of your Family members ever nervous or fearful about dental appointments? We take very special care to listen to you, understand any concerns you have and do everything we can to help you relax. Dr. Brignon uses special techniques to reduce discomfort and we utilize Nitrous Oxide effectively for nervous patients to provide a relaxed dental appointment. "The experience I had at Dr. Brignon. was exceptionally good. My last Dentist never said one negative thing about the care I give my teeth, here I'm told what I need to do better or different. Since the goal is to keep my teeth in my head LOL. I appreciate the critiques, and It makes me try harder at home. Your not just "yes men (ladies) thank you " Dennis H.
"Love these people. That are very informative about everything that they were doing. I just had my first root canal and I've had no pain at all. Very good Dentist and I would recommend to anyone that ask." - Joseph B. "Love this office!! Luzana Brignon is the best dentist. Makes you feel so comfortable and like family there. She works very well with kids!! All the staff there are very nice and welcoming." Elita S.
If you are interested in Tender Loving Care Dentistry for your Family in a caring environment that will make you feel like home, contact us to schedule an appointment. Or if you just want to see our office, meet our staff and ask some questions regarding your treatment options then we invite you call us now to request a complimentary consultation. Part of our commitment to serving our patients in San Jose, Milpitas, Santa Clara, Fremont and Santa Clara County includes providing information that helps them to make more informed decisions about their oral health needs. This website is a resource we hope you’ll find both useful and interesting. Saturday and Early Evening visits available by Appointment Call 408 -251-0610 now to make appointment! San Jose dentist, Luzana Brignon, DDS is a dental professional dedicated to general, family, and cosmetic dentistry with services including dental exams, dental makeovers, teeth whitening, veneers, crowns, x-rays, cleanings, and more. Please call our dentist in San Jose, CA to schedule your next appointment.